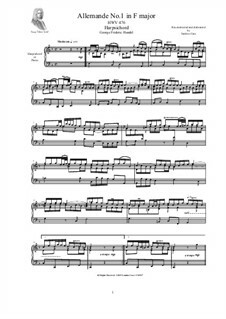 Complete scores and part of 3 Allemandes for Flute and Harpsichord or Piano, by George Frideric Handel, Transcribed by Santino Cara. 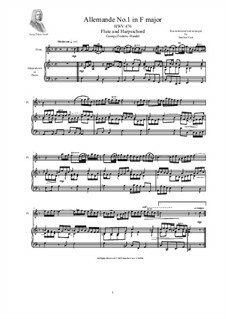 Complete scores of 3 Allemande for Harpsichord or Piano, by George Frideric Handel. Reconstructed and elaborated by Santino Cara.